For Andrew Brown, the nuances of Sandalwood Album oil have become second nature. 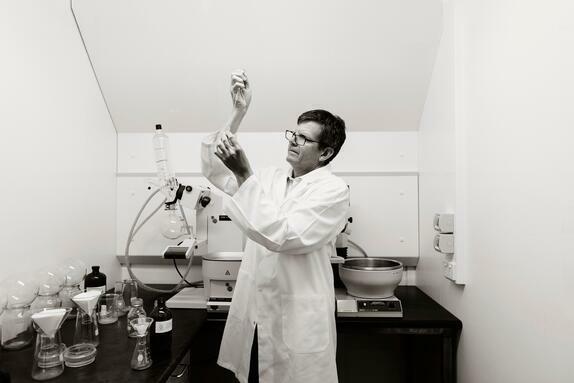 As Head of R&D for Quintis, he is caretaker of this precious tree - and the potent, pure oil that it produces. It’s only mid-morning in Kununurra in Western Australia’s far north, but the air is already heavy with the promise of the heat to come. Andrew Brown knows the importance of starting the day early up here, so he’s been at work for hours, walking up and down the sprawling stands of Indian sandalwood he’s here to inspect. Harvest is only three weeks away, so to find any signs of damage now would be a blow: aside from taking 15 years to reach maturity, the endangered Indian sandalwood (Santalum Album) is one of the rarest plant crops in the world. Its precious oil has been highly prized since the time of the ancient Egyptians for its healing properties and rich fragrance. And while the trees once grew throughout Asia, overharvesting and unscrupulous black-market trade mean this plantation, nestled in the lush tropical north of Australia, is the only commercial, sustainable enterprise of its size. Currently, the Sandalwood Album oil produced by Quintis is split between pharmaceutical companies, aromatherapy brands and the producers of some of the world’s most recognisable perfumes. The oil is highly prized for its spiritual, fragrant and medicinal benefits, as well as its action as a fixative, which allows a scent to wear evenly throughout the day. You have to be able to interpret the oil; there’s an artistic component in determining if it’s going to meet the specification of the client. The oil is extracted by a painstaking, four-day process in which steam is passed through the wood chips and then “washed”, resulting in the essential oil. 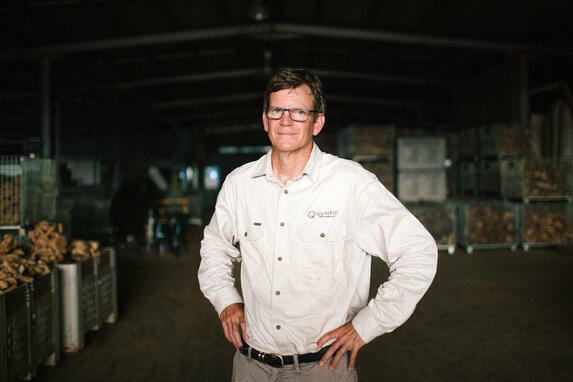 Andrew characterises the entire production process as a “balance of science and art”. 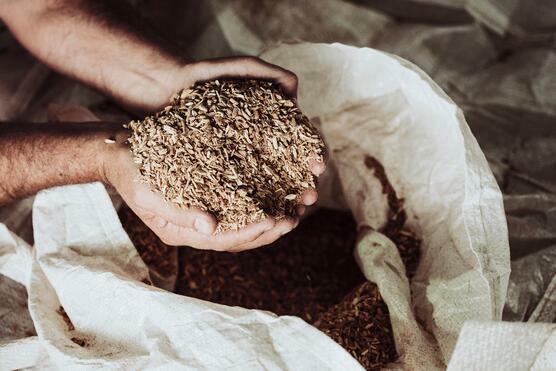 As the producer of the world’s only pharmaceutical-grade Sandalwood Album oil, Quintis is heavily invested in finding new applications for this super-ingredient. He credits his ability to spend his time looking for creative ways to both produce and use this time-old, valuable ingredient as deeply rewarding. To learn more about how we ensure we create pure Sandalwood Album, visit our oil page.